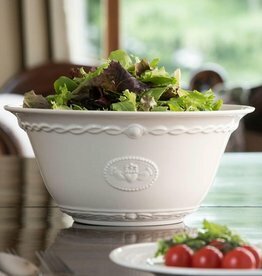 Aranware Pottery is lead-free, safe for the dishwasher, oven, microwave and freezer. Available in a beautiful cream color, each piece is decorated with the beautiful Aran Isle stitch patterns.? 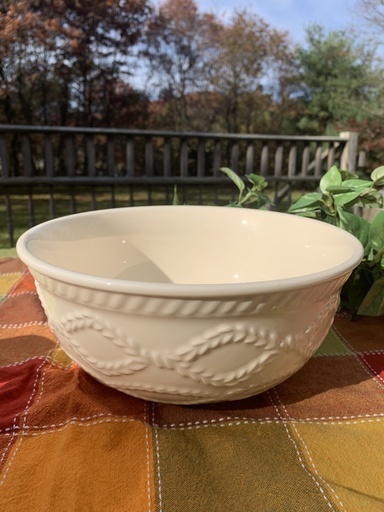 Large serving bowl is 9 in diameter and holds 2 quarts. 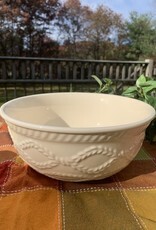 Diamond weave knot work, representing success and wealth encircles the bowl. 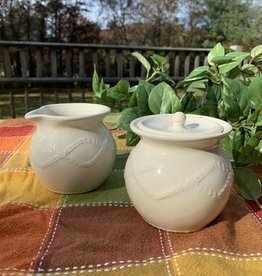 Aranware from Kara Irish Pottery is fun to collect and very affordable! Crafted in Ireland, Created for Everyone is the Kara slogan! Designed for everyday use Kara Aranware is safe for the oven, microwave, freezer, and is oh so easy to clean in your dishwasher. 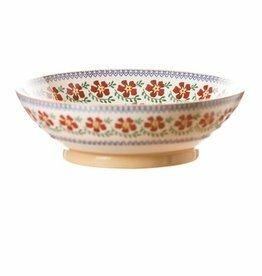 Kara stylish way to bring your favorite dish to a party or just enjoy a cup of tea with a neighbor. Each piece is resistant to crazing and chipping and has passed American FDA lead testing. 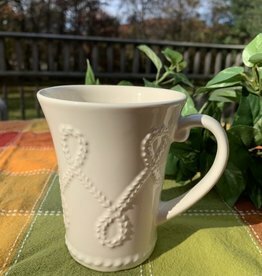 Add simplicity and style to your after-dinner coffee or morning tea with the Aranware Mug adorned with The Link design which represents the eternal link with those who left the homestead to “sail away to lands afar”. 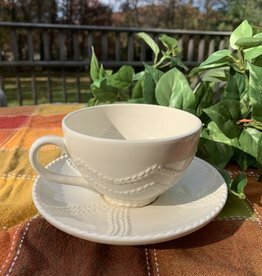 The Aranware Creamer & Sugar is a charming addition to your table to be seen, used and enjoyed every single day. The embossed Braided stitches are said to represent the interweaving strands of life. 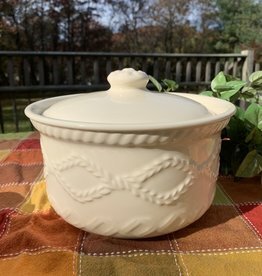 This beautiful Celtic Casserole Dish features traditional aran stitching! The basketweave conveys the abundant catches of the sea and a bountiful table today!